The Tree of Life transmutes the notion of humanity’s fall from grace into a cosmic imperative. In the 1950s, a family plants a sapling in the front yard of their Texas home. “You’ll be grown before this tree is tall,” the beautiful red-headed mother (Jessica Chastain) tells her small boy, Jack. Years later, his father (Brad Pitt) learns of the death of his second child and collapses in sorrow. Meanwhile, the earth has finished separating out from the accretion disk of the sun. Its newly solidified surface is being bombarded for the next few hundred thousand years by meteors, while at the same time a middle-aged Jack (Sean Penn) prowls listlessly through the corridors of a modern-day office building. As he ponders his sundered relationship with God, his younger self (Hunter McCracken) lives in paradise with his two brothers. They survey their neighborhood kingdom like a trio of Egyptian princelings, reveling in the bounty of God’s great goodness. The DNA strands within their cells hold hands in a spiraling dance… and inside the Formica kitchen their father grows angry. It is 2:43 on the last day of the world and the dinosaurs are fording the river. The Tree of Life transmutes the notion of humanity’s fall from grace into a cosmic imperative. The first hour or so of the film is a phantasmagoric symphony of pure cinema – Malick takes us on a tour of the known universe, from Big Bang to the death of our planet billions of years hence, from the formation of the first single-celled organisms to the majestic swell of galaxies. He rhymes a number of shots throughout the film, setting a long view of a comet’s pebble splash into the sea against an underwater shot of waves breaking; with a view from below of Jack’s mother, her hair fringed with fire against a shot of our red giant sun slowly incinerating the planet. The grand story of evolution is not only shown to have internal resonances at all scales; the macrocosm itself is shown to have its miniaturized reflection within the being of Jack, the microcosm. “As above, so below,” as the ancient Hermetic alchemists would have it. At first his life is all wonder and discovery, but soon enough he is expelled from the garden of paradise. He witnesses the death of a child by drowning; a neighbor’s house burns down, with no explanation – no visible sin was committed. And so as Jack grows older, as his anger towards his father and his feelings of shame increases; as his ability to see the grace his mother has told him dwells in every atom wanes, so too does the very fabric of the universe stretch and tear; the Second Law of Thermodynamics holds sway across the breadth of parsecs and within the human soul. 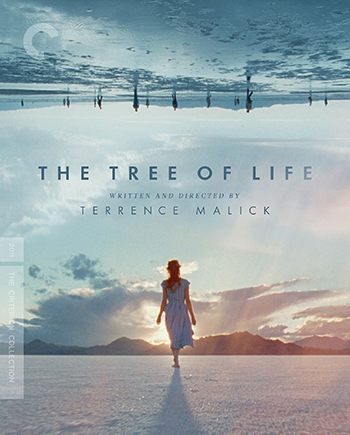 The Tree of Life follows the tragically descending arc of life’s arrow loosed from Eden to unknown and perhaps unknowable realms, where we finally find Jack a bitter and dissolute soul washed up against the shores of modern life. The combination of images and sound in this first, chaotic section of the film is amongst the most breathtaking in all of cinema. 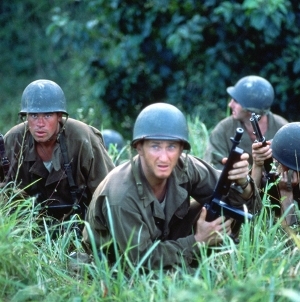 Malick has always worked in close concert with his cameramen (in this case, cinematographer Emmanuel Lubezki) to capture the natural light of the sun in all its many variations. What is so remarkable about The Tree of Life, at least visually, is how the insert shots of computer-generated dinosaurs and volcanic eruptions are handled in the same nimble manner as the live action shots of children playing in the street. The essence of the film, while weighty, even ponderous in tone, is always at the same time light and airy, the imagery effortlessly drifting across the camera’s lens as Malick peers deeply into the substance of the world. The sun is a major character in The Tree of Life, with a personality and arc of its own. Its light and warmth suffuses the film. In the second movement, The Tree of Life settles into the rhythms of a coming-of-age story, and it is here that the film loses some of the magnificence of its opening salvo. Many of Malick’s usual narrative ploys are in evidence – the multiple hushed voiceovers directed towards a transcendental spirit; the elliptical editing, complete with lyrical jump cuts and cubist points of view; the muted acting. All of the cast is strong. 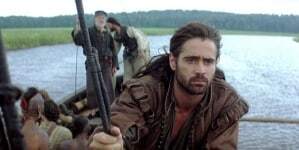 McCracken in particular is a terrific discovery, perfectly suited for the role. Able to do more with a glance than most actors his age would be able to do with a page-long speech, McCracken internalizes the feelings of anger and shame that accompany his transition from childhood to adolescence. 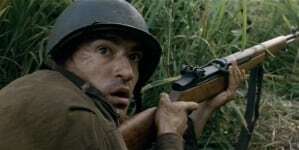 Malick usually includes at least one character in his films that has attained a heightened state of awareness, able to sense the glory of God in every act. The Tree of Life requires newcomer Chastain to be the character who exudes a near-constant loving bliss. Both she and Pitt are as much cosmic archetypes as they are fully-realized human beings; she symbolizes the Way of Grace, he the Way of Nature. Yet both acquit themselves admirably under such cosmic weight and strain – Pitt makes his Mr. O’Brien into more than just the stern papa, while Chastain’s Mrs. O’Brien tempers her holy goodness with a weakness in the face of her husband’s inflexible demands. The third and final section of the film defies coherent description, let alone explanation. Sean Penn follows a mysterious “guide” (Jessica Fusilier) through the desert to a rendezvous on some terminal beach where he encounters all of the people he has known, including his past self. 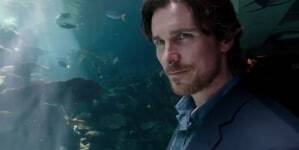 The montage here finally cracks under the strain of Malick’s grand intentions. Perhaps this is the afterlife, or a fleeting musing of Jack’s mind as he ascends an elevator in his glass-walled building. But perhaps it is the literal apocalypse, a word which means “revelation” – the truth as reveled to Jack, or through Jack’s visions; the truth as Malick sees it but is perhaps unable to impart to his audience. After only a single viewing of the film I am unwilling to call this section a failure, but it does immediately strike me as one too many grand and serious statements in a film (and a filmography) that is full of them. Malick can see the glory; sometimes his vision of the world can stun and exalt the viewer enough so that they can see it, too. But with The Tree of Life he has perhaps reached the natural limits of what sound and image can convey. There are few works of art in the history of civilization that are as ambitious as The Tree of Life, and there are few film makers as committed to translating their inner view of the world into the medium of cinema. Always concerned with the many ways we fall, with how we have and always will betray the beauty of creation, Terrence Malick is the great poet of human weakness in the face of God. This author has not added a biography. Meanwhile Shannon Gramas has contributed 90 posts. Click here	to view them.